BROOKLYN, N.Y. - Nov. 19, 2018 - PRLog -- To honor the life and art of the late DJ Devastate, Coalmine Records is proud to team up with the Swedish artist's native label, Counterweight Records, on this very special Record Store Day 2018/Black Friday release. The Swedish-born DJ and producer passed away at the young age of 35 years old in March 2018 and left a huge whole in the hearts of his friends, his family, and his fans. If there's any consolation, it's that we have his incredible art left with us to remember him by, and we and Counterweight couldn't be more excited to share this eight-track vinyl release that showcases his immense skill set. On the Coalmine side, you'll find five of our favorite tracks featuring the talents of Devastate. They include his head-nodding, funky production on El Da Sensei's straight-fire "Show Stoppa," along with his turntablist exhibition on the Max I Million remix of "Perfect Timing" by C.L. Smooth & Skyzoo. You'll also find J57's fresh remix of "Show Stoppa," Create & Devastate's hard-nosed "Most Confident" with Wildchild & MED, and the notably grimy ode to Brooklyn on "Crime After Crime," which is helmed by rapper Illa Ghee, an artist that the late Devastate always wanted to have worked with. Counterweight's side is equally as fly, boasting the Create & Devastate-featured "I Rap Black" from heavyweights Chuck D, Bishop Lamont & Mykill Miers. You also get to hear Devastate rock the boards on the super-blunted "Riddim Up On Em" and on Baby Blak's soulful "Moves to Make." And then there's his smooth and hypnotic remix of Chapee & Max I Million's "Feel It," which also includes some stellar scratching. 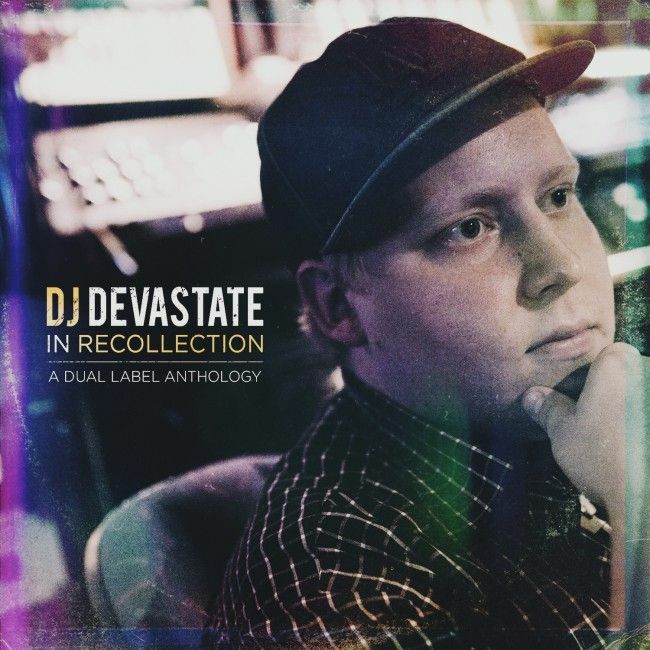 There's just so much to love about what you hear on this release, which truly exemplifies just why we so deeply miss our friend DJ Devastate. He was a soulful, gifted, and inspired artist and man, and we're glad his spirit lives on through his music. In Recollection: A Dual Label Anthology is available now for pre-order through all digital retailers and streaming platforms, and will be available for purchase on a limited edition purple/mustard vinyl swirl through participating Black Friday record stores throughout the country.